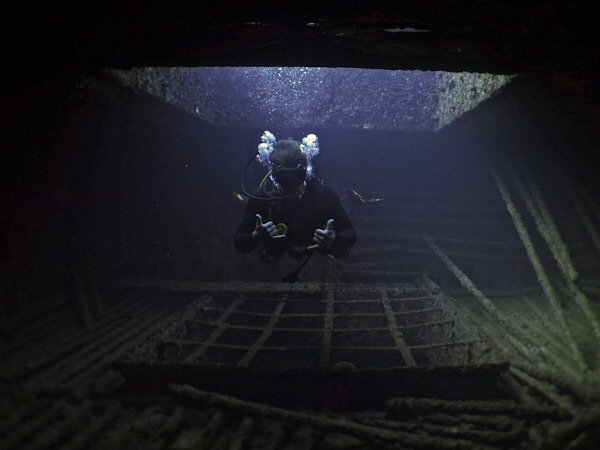 This site is like an underwater playground for divers. Everywhere you turn, unique lava topography shelters a new discovery. Weave in and out of the trenches, tubes, and overhangs that act as a series of underwater funnels that create the world class surf the North Shore is known for in the winter months. 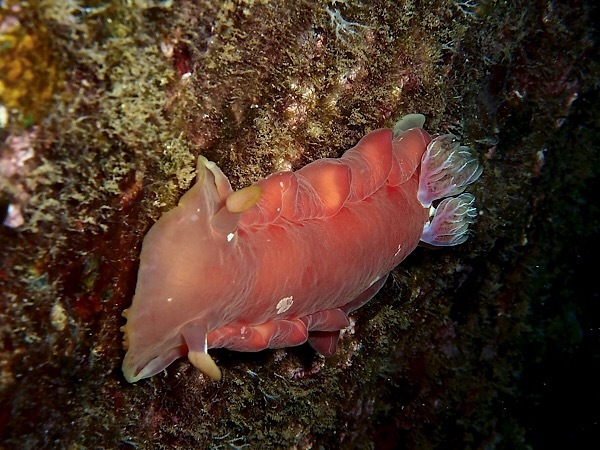 Famous for Nudibranchs! This is a religious dive experience! Located just behind the fire department, you’ll find this dive temple. Skylights over a large lava tube create a Hawaiian light show not to be missed. Like Sharks Cove this dive in also in the marine sanctuary, so there is lots of marine life to see as well. 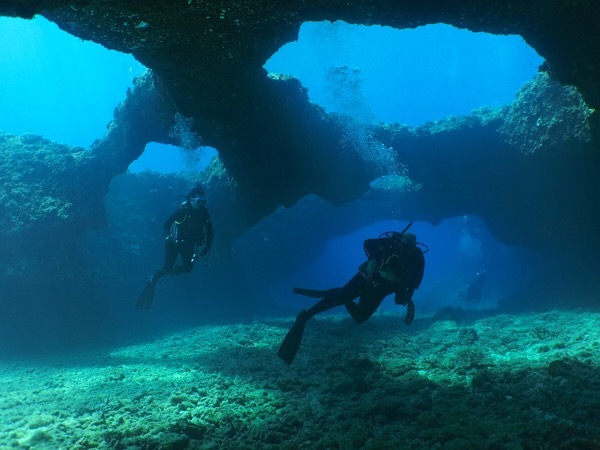 This reef dive on the Oahu’s south shore boasts beautiful lava formations and incredible overhangs. The max depth is about 80 feet. 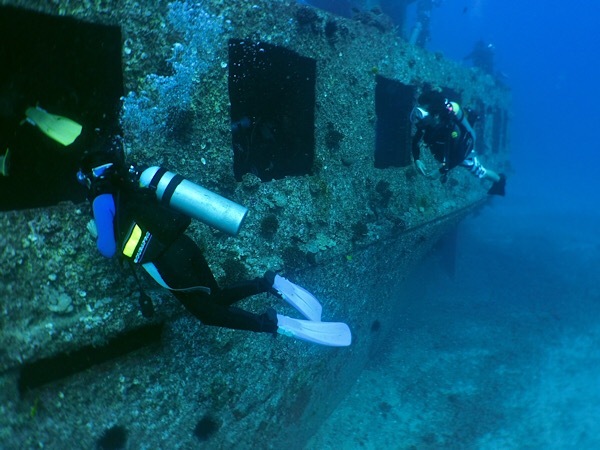 The dive depth varies and bottom time is usually about 25 minutes. 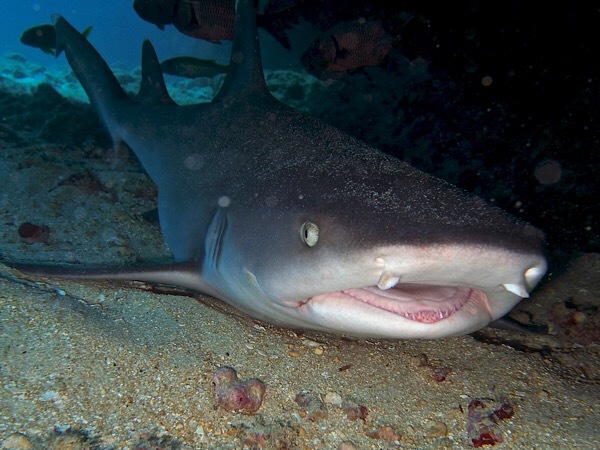 There is an abundance of fish and a 6-foot turtle sometimes makes an appearance, lots of eels, often rays show up and the occasional white tip reef shark. Visibility here is often 100 feet of more. Another south side double whammy! Horseshoe reef gets its name from its shape. Here you can find several species of eels, pincushion starfish, and antler coral. Swim 50ft (15m) to Kewalo pipe. Keep your eyes peeled for spotted eagle rays off in the distance, and follow along this drainage pipe covered in coral and little critters galore. This dive site gets its name from an old storm drain pipe that runs straight out to sea from shore. 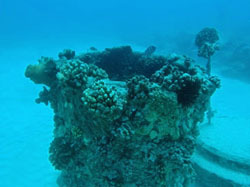 Adjacent to Horseshoe Reef, it is a great example of South Oahu reef structure. Bright hard corals grow along the pipe itself, as well as the reef surrounding it. Keep an eye out for frogfish! 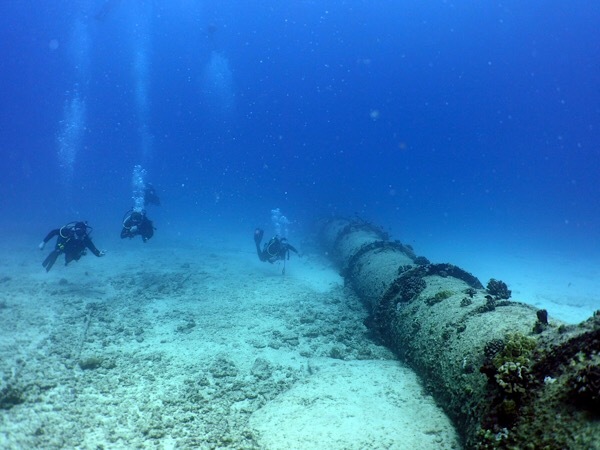 They like to use the corals on the pipe to camouflage themselves. If your air lasts, the reef at the end of the pipe is pristine! 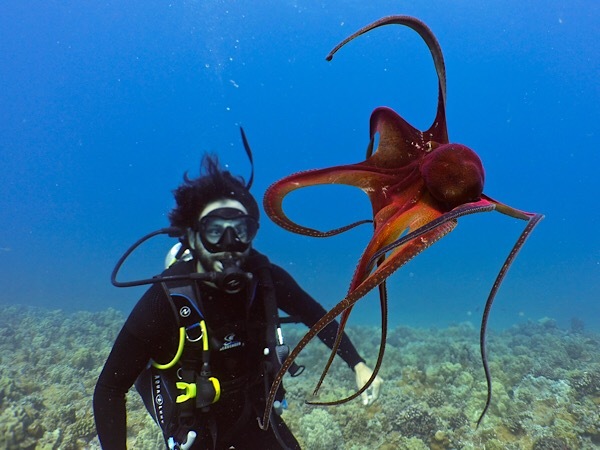 Look for large white mouth morey eels and octopus! LCU stands for Landing Craft Unit. 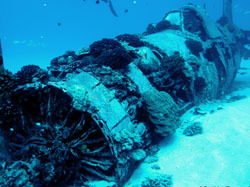 This is another great wreck on the west side of the island. Though it is new and the growth is still sparse there is still lots to occupy your time here. 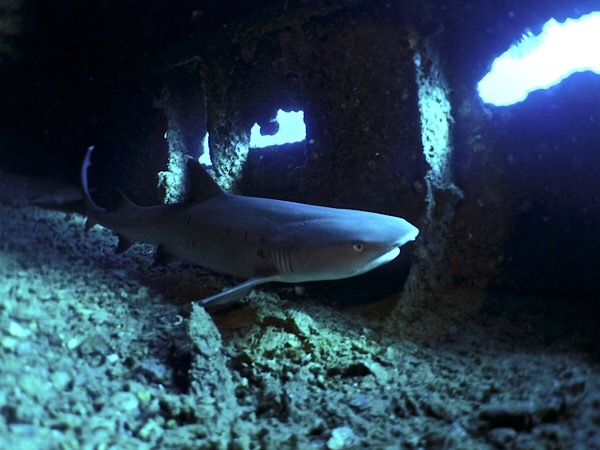 Aside from the ship, over a hundred z blocks were scattered and now house white tip reef sharks, trumpet fish, and more. 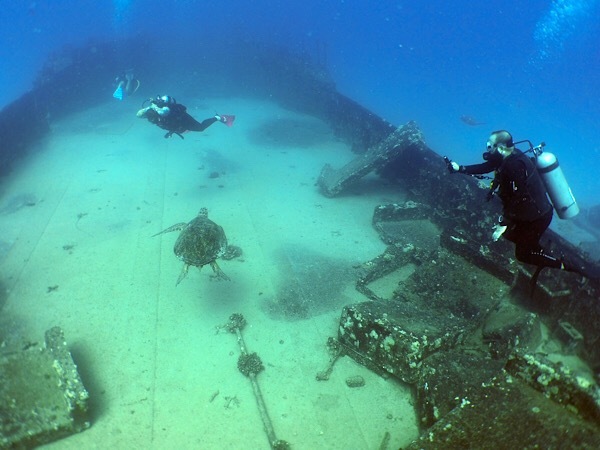 Though this wreck was sunk on purpose to create an artificial reef, you would think it was in battle! Originally a Navy minesweeper, this ship was thrashed by two different storm years apart, finally completely ripping her clean in half. The main attraction here is the frequent spotted eagle rays. As many as 3 dozen strong have been reported here. There is also huge schools of blue line snapper, octopus, eels, and occasionally a very large barracuda. 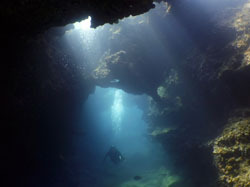 This is a great dive site for amateurs, as it doesn’t have a current and features vast amounts of marine life. The fish here are used to human contact and as such will approach a diver. 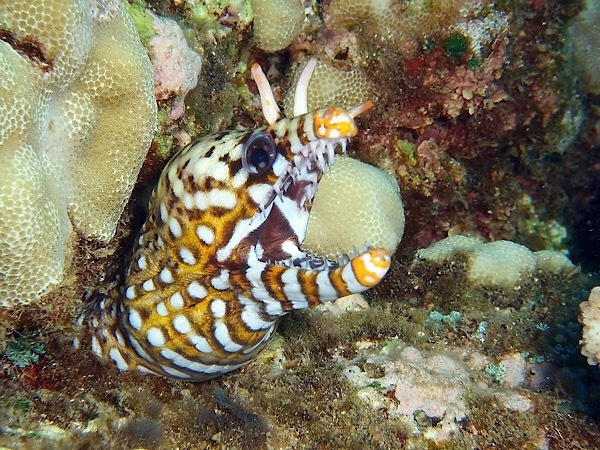 One can see spotted puffer fish, moray eels, porcupine fish, Moorish idols, fantail filefish and triggerfish. 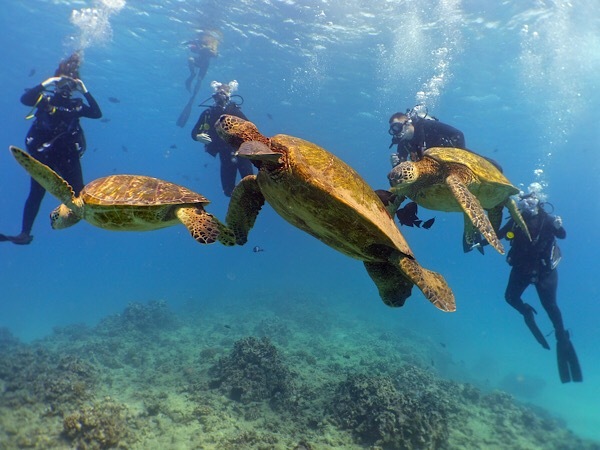 Located in Pupukea Marine Life Sancturary, This site is perhaps the best example not only Oahu diving, but Hawaii in general. 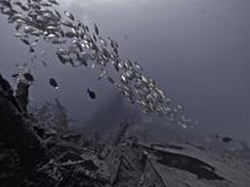 The uniqueness of this site has attracted attention of divers across the globe. 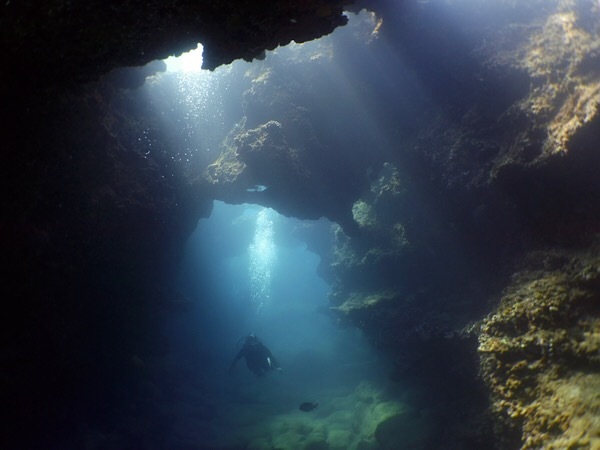 Everything from lava tubes and caverns, green sea turtles, endemic fish, dolphin, and monk seals are found to take advantage of this protected marine reserve. Another west side must dive! 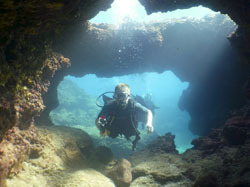 Known locally as Keau Corners, this is another great topography dive. Here you can drop through a vertical lava tube down to the bottom where you make your way to one of the most spacious caverns on the island. Everything from rare nudibranchs to the endangered Hawaiian Monk Seal can be found here. Mario World is named because of the extensive pipe system that covers the area. This is a great spot to find Cowry shells and schools of huge puffer fish. Because of the depth it is great dive site for all of our divers, from students to certified divers just looking for a nice slow-paced reef dive. Named after the 3 flat reef slabs that just breach the surface. 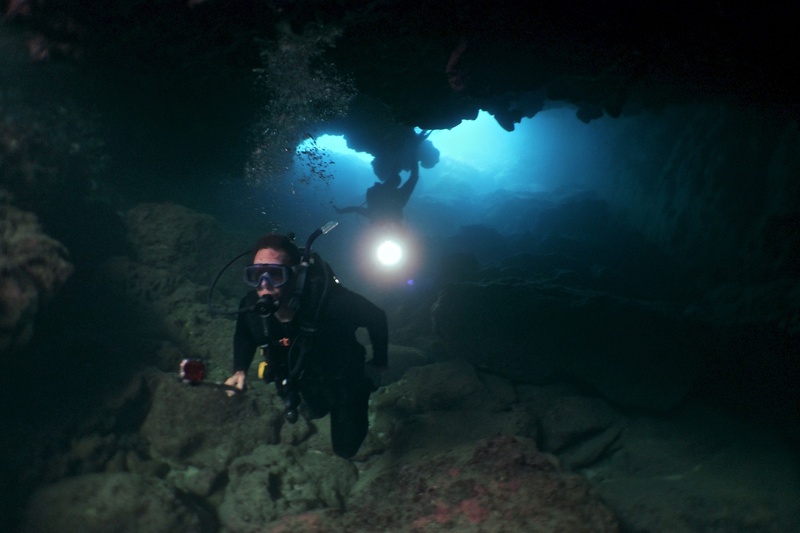 In between world famous Waimea Bay and Sharks Cove, this dive will leave you in awe. Lava rock walls and pillars create another unique Hawaiian seascape. Plenty of turtles and endemic fish can be found here. 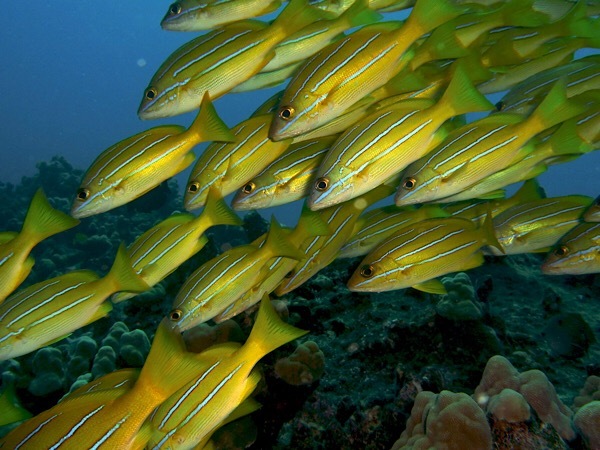 Swim alongside rainbow parrotfish and schools of convict tang. If your good on air, you might make it to Carwash, one of our North Shore boat dives. 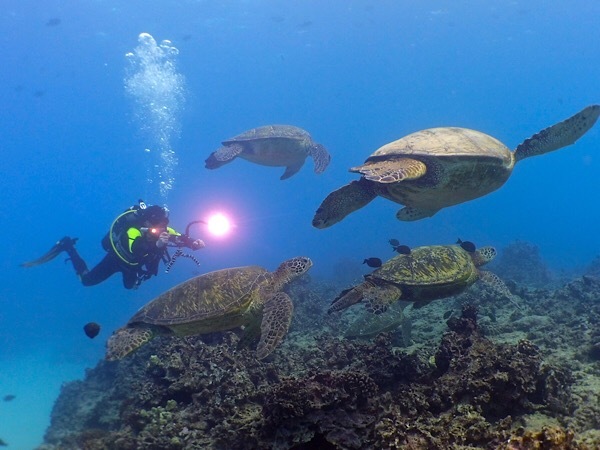 Turtle Town offers a reef formed on lava that flowed from Haleakala centuries ago. The caverns and ledges in the lava are a perfect habitat for sponges, corals, octopus, fish, eels, and shrimp. 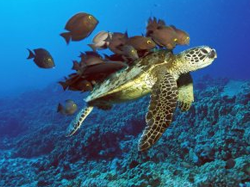 The highlight of this reef is the number of Green Sea Turtles. The Green Sea Turtles are an endangered species and must not be touched or harassed. 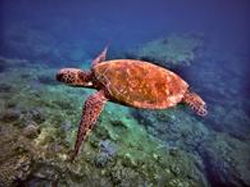 They are very curious animals and often allow snorkelers a good look from just a few feet away. Turtle cleaning stations are common here. Watch the green sea turtles get picked clean by endemic Saddle Wrasse. Weave in and under overhangs and arches. Keep an eye out to the big blue for big gamefish and spotted eagle rays.